At Oswald Road Nursery we aim to provide the highest quality care and education for all our children thereby giving them a strong foundation for their future learning. We create a safe and happy environment with motivating and enjoyable learning experiences that enable children to become confident and independent. 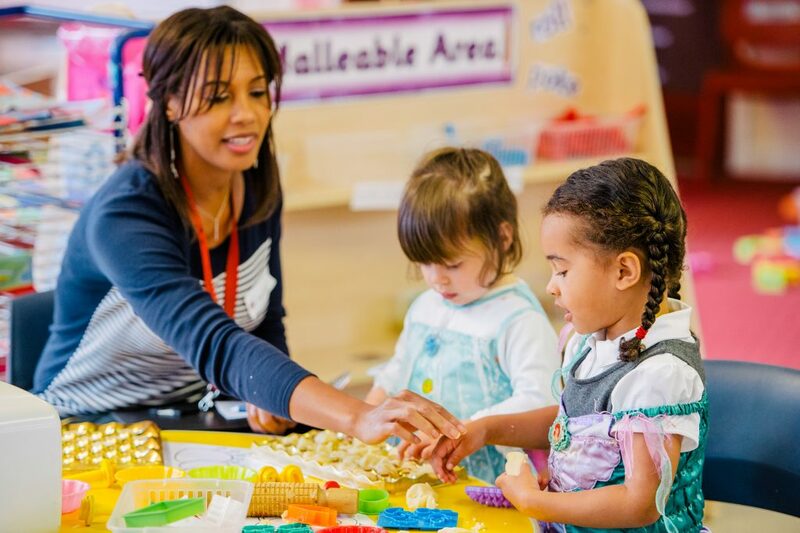 We value the individual child and work alongside parents, carers and others to meet their needs and help every child to reach their full potential. All of your child’s achievements will be recorded in their personal ‘Learning Journey’ which you and your child will have access to throughout the year. Promote equality of opportunity and anti-discriminatory practice. We provide early intervention for those children who require additional support. Occasionally, you will see other members of staff working in the Nursery. Their roles include supporting children who have English as an additional language, completing work experience placements, undergoing a vital part of their Initial Teacher Training or taking over the role of a staff member who may be out on training or other work related activities. To ensure a smooth transition from home to nursery we stagger the intake of children into the nursery. Your child will have a keyworker who will be responsible for liaising with you and helping your child settle into our nursery. Nursery doors open at 8.45am. The day starts at 9.00am and ends at 3.15pm. Early Birds Club and Owl Club are available for before and after school care from 8.00am in the morning and 3.30 pm onwards, for which there is a fee. Please contact the school office to register for a before or after school care club. Children are provided with a carton of milk and a fruit snack daily, with an option for dental milk (with added Fluoride). If your child requires a lunch, you will need to purchase a school dinner and this can be arranged with the school office. School dinners are cooked on the premises in our kitchen and meet the government’s nutritional standards. They also comply with dietary and religious requirements. Fresh drinking water is available to children at all times. A record is kept of any special dietary requirements or food allergies, taken from the child’s admission form. If your child is entitled to free school meals, application forms are available in the school office. There is always a member of staff with a relevant First Aid Qualification on the school’s site and an ‘Up-to- Date’ First Aid Box is kept on the premises at all times. The Staff of the Nursery will keep up-to-date records on children’s health. e.g. allergies (we are a nut free school). If your child needs medication, parents/carers should complete the relevant forms. Please also see the school’s Health & Safety Policy (including administration of medicines). Security is our highest priority and we take all necessary steps to ensure the premises and surrounding site is secure. Main entry and exit doors are security coded. The perimeter gates are locked shortly after 9.10am and are not reopened again until 3.00pm. All staff are CRB checked before being employed by us, as are students and volunteers. For more information please see our Safeguarding Policy. Nursery staff will request a ‘pick-up password’ if anyone we don’t recognise comes to collect a child. Fire drills are carried out termly. When the fire alarm sounds, the children will be evacuated out of the building to their safe point. The toilets will be checked, by a staff member, for any remaining children. A headcount/register will then be taken to ensure all children and adults are accounted for. Emergency contact numbers will be available from your registration forms for us to contact you should it be necessary. Click here to view our Nursery Welcome Pack.